H2 receptor antagonist is a compound that helps reduce stomach acid. The drugs are also sold as Zantac, Pepcid, Tagament, and Axid among others. 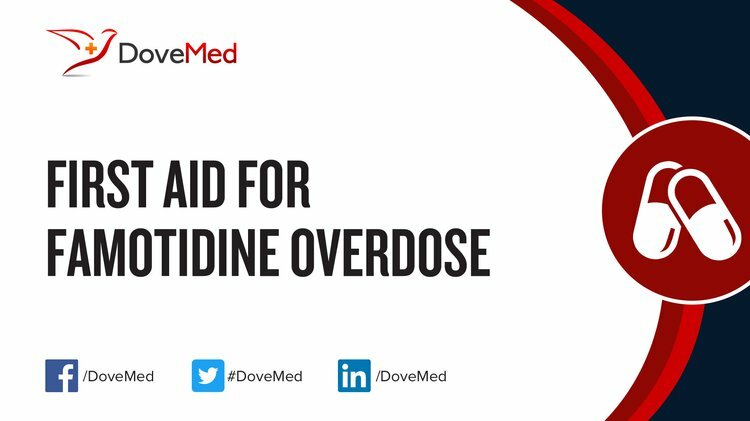 The topic First Aid for Famotidine Overdose you are seeking is a synonym, or alternative name, or is closely related to the topic First Aid for H2 Receptor Antagonists Overdose. Please find relevant information on First Aid for Famotidine Overdose regarding cause, signs & symptoms, administration of first aid treatment, prognosis, preventive measures, and additional resources HERE. What are some Useful Resources for Additional Information for Famotidine Overdose? Tran, M. (2004). Drug overdose. Key Topics in Critical Care, 149. Fogg, T. B., Semple, D., & Simpson, H. (2008). BET 2. COMBINATION THERAPY WITH H2 AND H1 ANTIHISTAMINES IN ACUTE, NON-COMPROMISING ALLERGIC REACTIONS. Emergency Medicine Journal, 25(3), 165. Cooney, D. O. (2016). Activated Charcoal: Antidote, Remedy and Health Aid. TEACH Services, Inc..
Campbell, R. L., Li, J. T., Nicklas, R. A., & Sadosty, A. T. (2014). Emergency department diagnosis and treatment of anaphylaxis: a practice parameter. Annals of Allergy, Asthma & Immunology, 113(6), 599-608. Sheen, S. S., Choi, J. E., Park, R. W., Kim, E. Y., Lee, Y. H., & Kang, U. G. (2008). Overdose rate of drugs requiring renal dose adjustment: data analysis of 4 years prescriptions at a tertiary teaching hospital. Journal of general internal medicine, 23(4), 423-428.